THE INSIDE SKINNY ON… “Art for your Walls” with Summer House Furnishings! 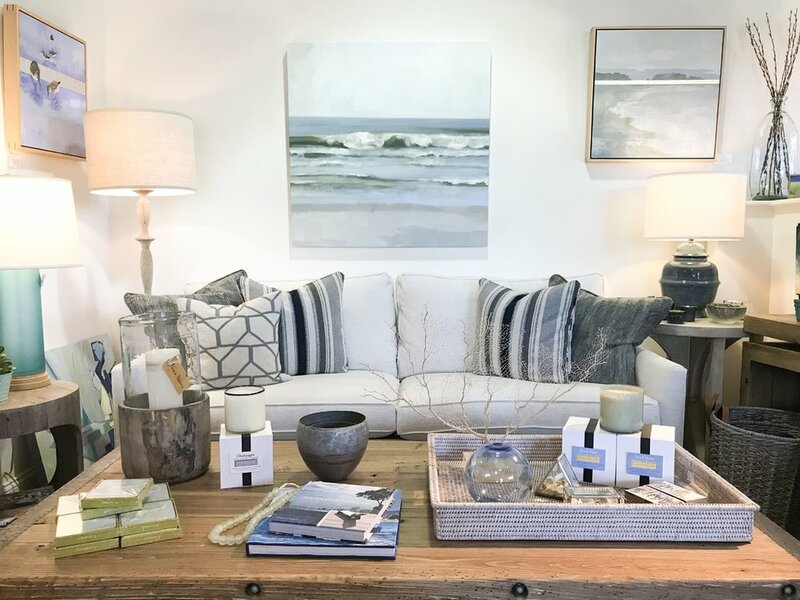 Stunning artwork may sweep you off your feet as soon as you step into Summer House Furnishings – a beachy chic home and design shop located in Rye, New Hampshire. With so many unique pieces to choose from, how do you know which one will fit perfectly into your living space? When choosing a piece of art for your home, there are a few things to consider before you begin. What is the overall style of your home? What size would work best in the space? Would there be reflective light on the piece? Art should be unique, to fit your style and set your room apart from everyone else’s. Most of our artists are willing to work with our clients to create the perfect piece that reflects you and your home. Once you have your rug and larger furniture items in place, the right piece of art will call out to you naturally. What role does artwork play in the design process of a space? Art can really set the tone for an entire room. We suggest each room have a feel-good focal point when you enter it. It is the first thing your eye lands on and completes the cohesiveness of the overall design. 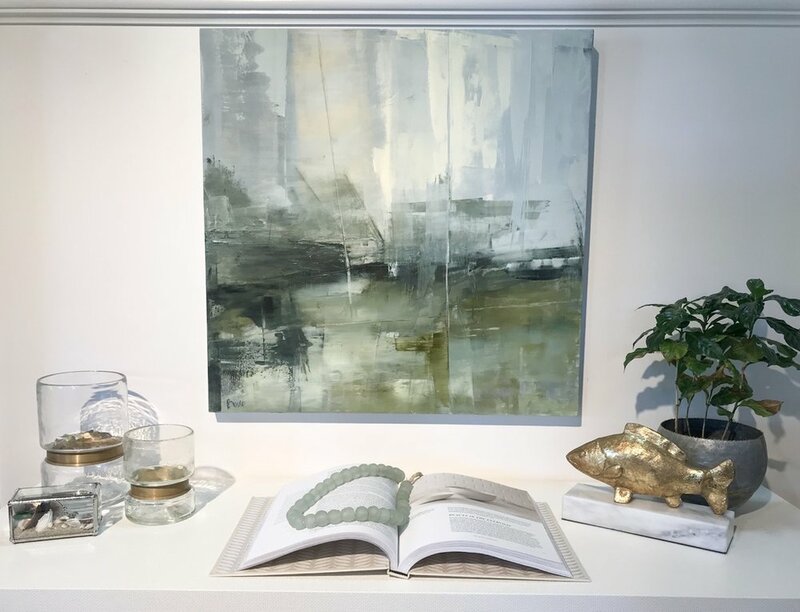 When new art arrives at the store, we work to create vignettes that best complement each piece with our furnishings and accessories. 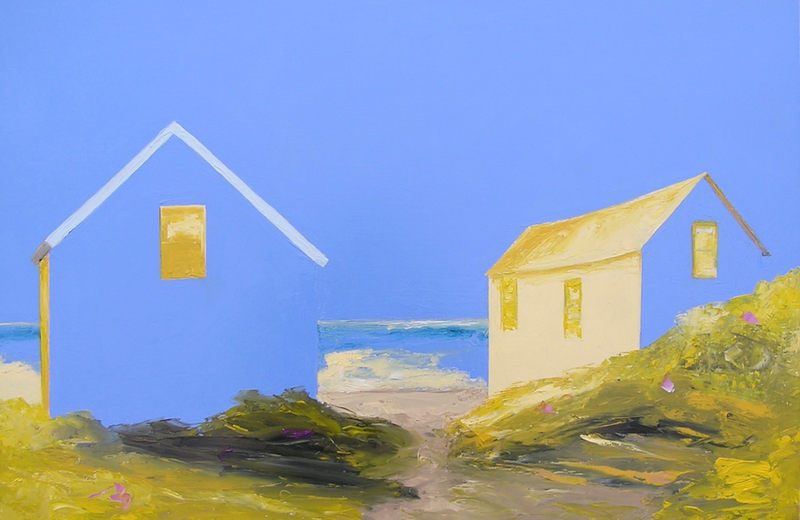 Our artists are primarily based in New England, with one artist from California. 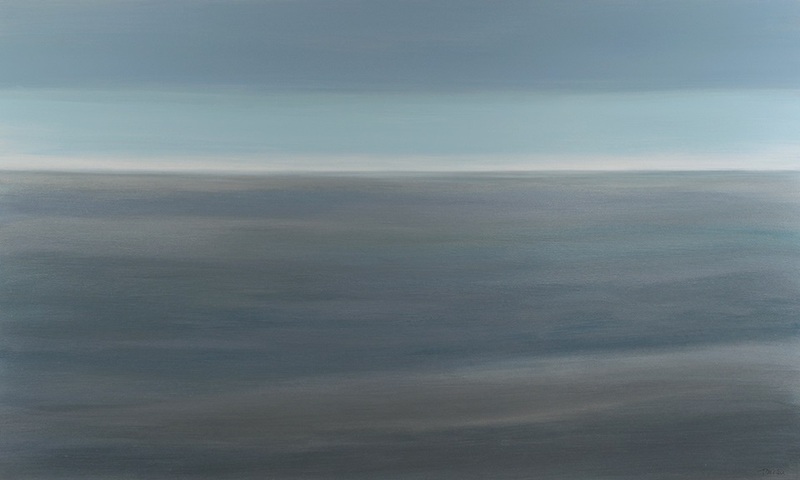 We source original art that depicts the mood and feeling of life on the Seacoast. At our store, you will find a mix of mediums such as oils, pastels, acrylics and encaustics in soothing palettes, as well as some colorful pieces. The relationship we have with each artist and watching his/her work shift and evolve over time, is one of our favorite aspects of the whole process. 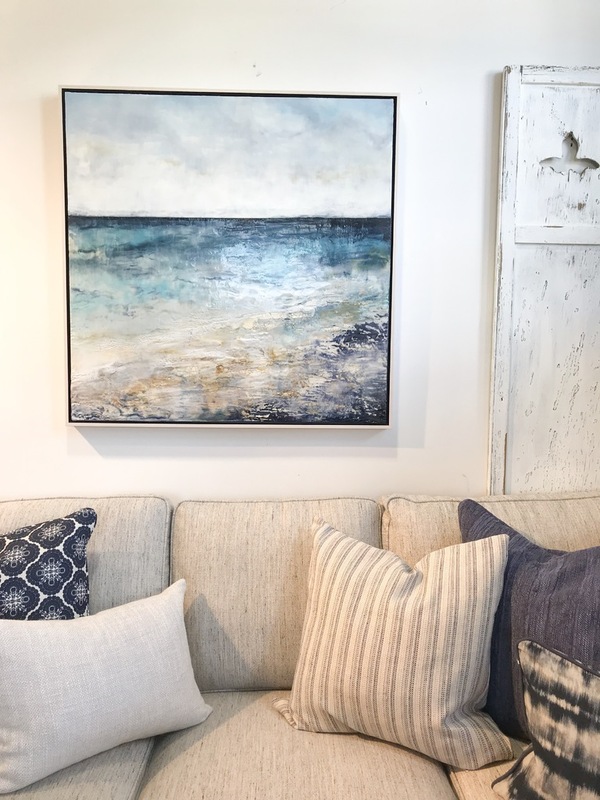 Stop by Summer House Furnishings to view their collection of unique original art throughout the store.